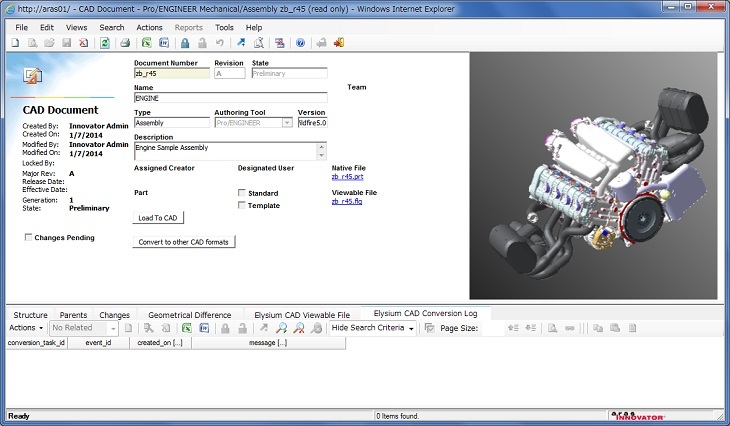 MultiCAD Gateway for Aras Innovator is the multi-CAD data translation and interchange solution that automates the translation of CAD data to other native CAD formats, including NX, Creo, SolidWorks and others, providing companies that run Aras with embedded functionality for CAD model interchange, translation, validation, geometry comparison, data optimization and more. MultiCAD Gateway for Aras Innovator is for product development environments that use different 3D CAD systems and need to collaborate on the same part or assembly without remodeling. These capabilities are especially important for globally-distributed enterprises and supply chain partners designing complex products using multiple high-end 3D CAD systems, as well as outsourced engineering organizations that have design authority. The Elysium software support program for MultiCAD Gateway for Aras Innovator provides the software and support needed to achieve high availability of the applications that the business relies upon. This provides companies with the resources and technical expertise necessary to assure quality and reliability for the production environment today and into the future. *Please note that technical support for end users will be provided by Aras Partners in their local languages. Support Times Monday to Friday between 9 a.m. and 6 p.m. (GMT +9:00) excluding company holidays of Elysium Co. Ltd. Response Times Initial response within 24 hours excluding weekends and company holidays of Elysium Co. Ltd.
*These products are sold by authorized Aras Partners.